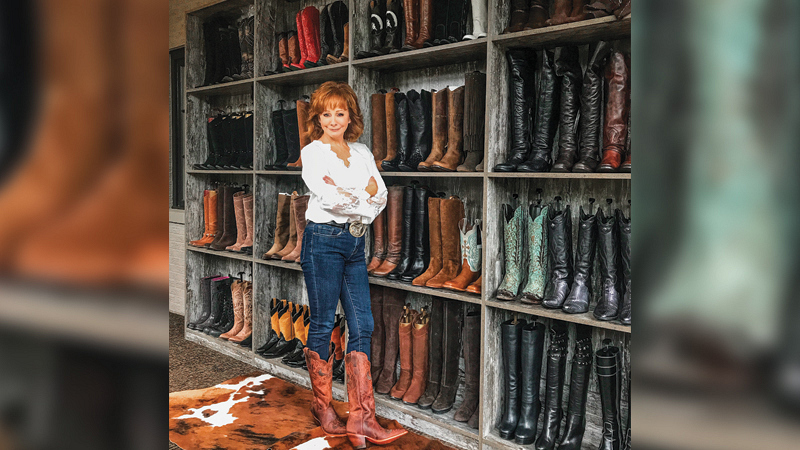 10 Things That Make Reba McEntire Smile Country legend and ACM Awards host Reba McEntire shares her gratitude list. I have over 100 pairs. I know because I got rid of all the equipment in my workout room and turned it into a closet with shelves for 100 boots, and those shelves are now full! I don't wear anything that offends women in the audience. I'm not trying to steal their husbands or boyfriends. I want women in the audience to say, "Oh, dang, I wish I had a dress like that!" Not women looking at their partners, thinking, Are they watching her instead of me? Chips and salsa are my weakness, but I love a good SONIC hamburger, sweet tea, and tater tots. 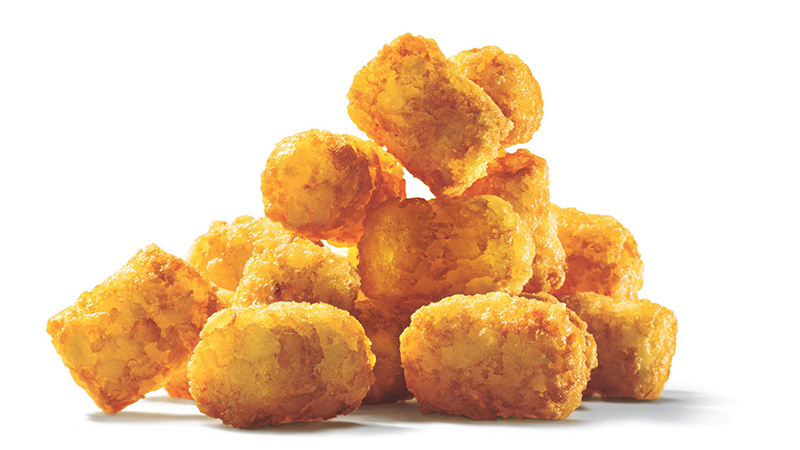 You gotta have tater tots! 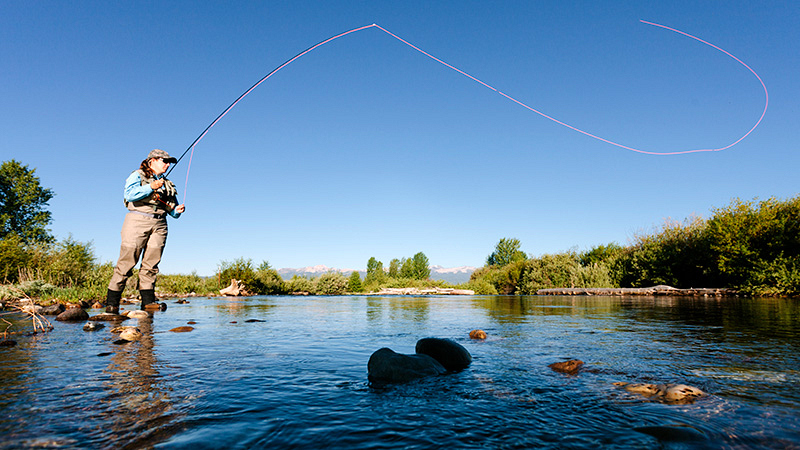 I took up fly-fishing when I visited Blackberry Farms, south of Knoxville, Tennessee, years ago. There's nothing like standing in a stream watching those huge trout swim around. Not that I catch any of them! "Don't judge. Be loving and understanding, and listen." There are so many people who need to be heard. They don't need advice. They just need an ear. 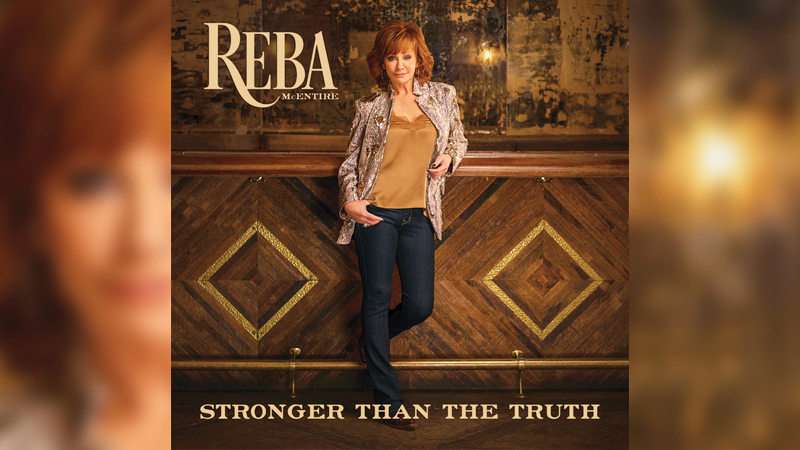 Stronger Than the Truth (out April 5 on Big Machine Records) is the kind of country album I haven't gotten to do in a while. I grew up on an 8,000-acre family ranch in Oklahoma, and my siblings and I would sing at honky-tonks, clubs, and rodeos. Her storytelling is from a Southern point of view. I loved Fried Green Tomatoes, and I just finished The All-Girl Filling Station's Last Reunion, about the homefront during World War II. I didn't realize how many women were involved and how much they helped. I learned so much about our history. 8. 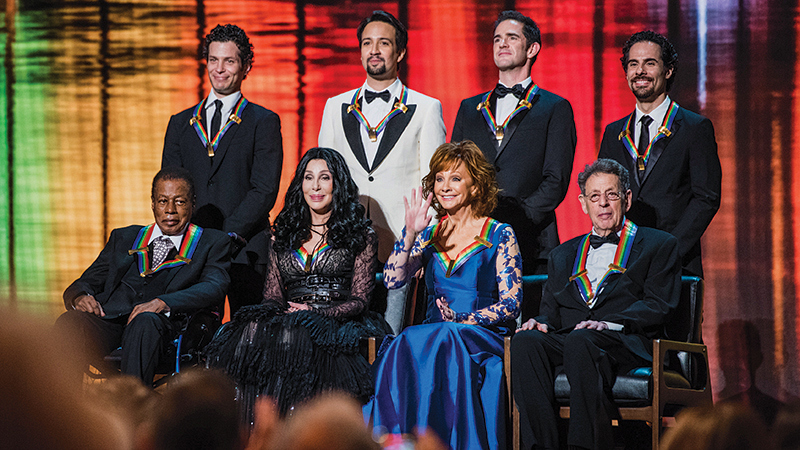 2018 Kennedy Center Honors. Receiving that award last December was surreal. I was there when Dolly Parton, Loretta Lynn, Carol Burnett, and Lily Tomlin got inducted, and I felt like a first-grader looking up to the seniors. But now I'm the senior going, "Hey, are you sure you have the right person?" It's the one exercise that makes me feel good. When I was doing a TV show in the early 2000s, actress Wendie Malick was a guest star and I said, "Wendie, what are you doing? Your arms are so toned! You're in such great shape!" 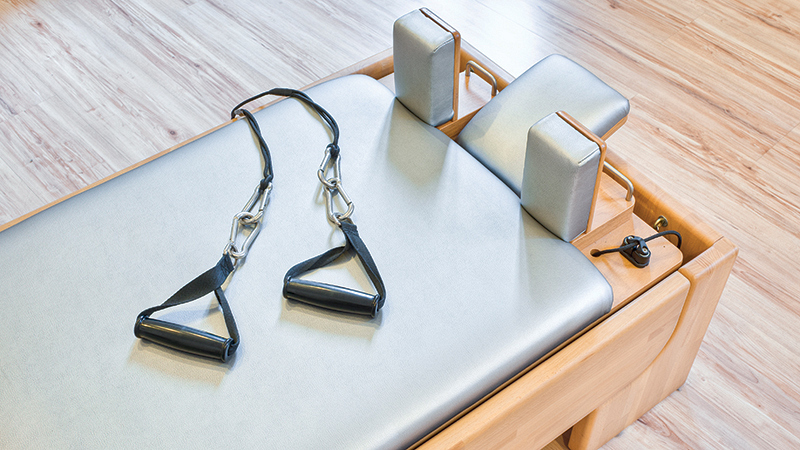 She just shrugged and said, "Pilates." The next week I found myself an instructor. I've had a lot of duet partners over the years. But Kelly has a unique vocal instrument that amazes me. It goes from zero to 100 in two seconds, and can be hard, powerful, or whisper-soft. I'm so thrilled to have had her in my life all these years. 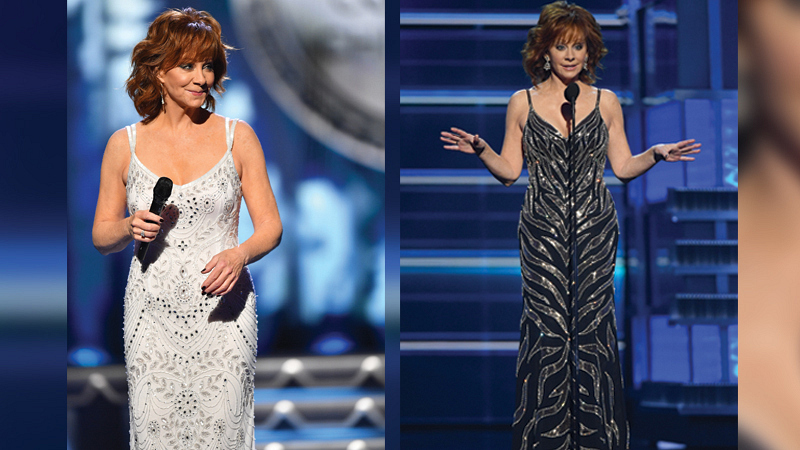 Photo Credits: Robby Klein (McEntire); Justin McIntosh (Boots); Jason Davis/Getty Images (White Dress); Ethan Miller/Getty Images (Black Dress); Courtesy of SONIC (Tater Tots); urbancow/Getty Images (Fly Fishing);Big Machine Records (Album); Random House (Fannie Flagg); The Washington Post/Getty Images (Kennedy Center Honors); cirano83/Getty Images (Pilates); Ethan Miller/Getty Images (Clarkson and McEntire); DNY59/Getty Images (Silo Cowboy Boot); Dcelotti/Getty Images (Fly Tying Hook). 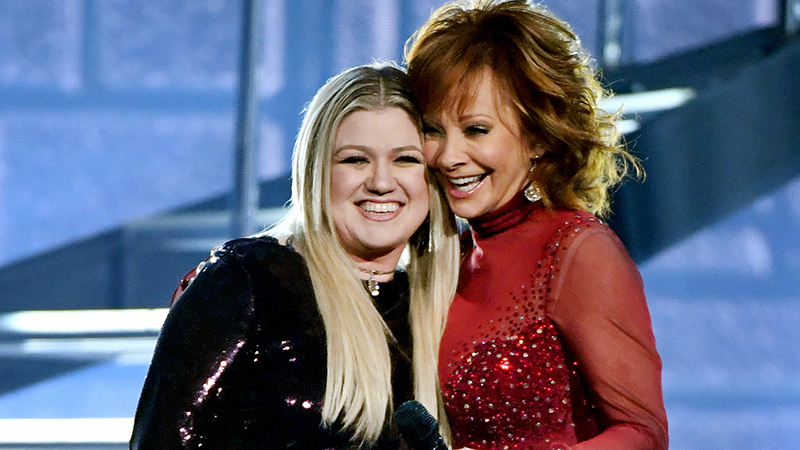 Watch the 54th ACM Awards® hosted by Reba McEntire on Sunday, April 7 at 8PM ET (delayed PT) on CBS and CBS All Access.